During the ’90s we saw a lot of concentration in the beer industry and many regional beer brands disappeared. The beer market was concentrated on a couple of big international brands. Consumer did not appreciate too much and in recent years a multitude of microbreweries and regional producers appeared. We do like this kind of smaller producer and mostly buy only swiss regional beer. One of these is Brewery Doppelleu from Winterthur . They have 2 brands, the Chopfab and the Doppelleu. 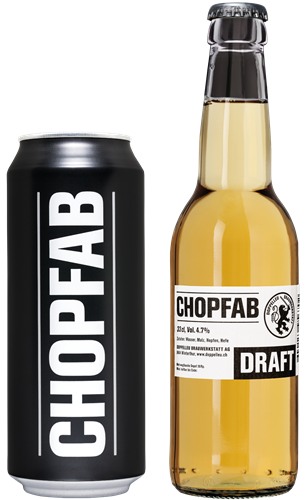 Chopfab offers some more “standard” beers for regular consumption. My absolute favourites are the Lager and the Weizenbier (more like a Bière Blanche d’Alsace). 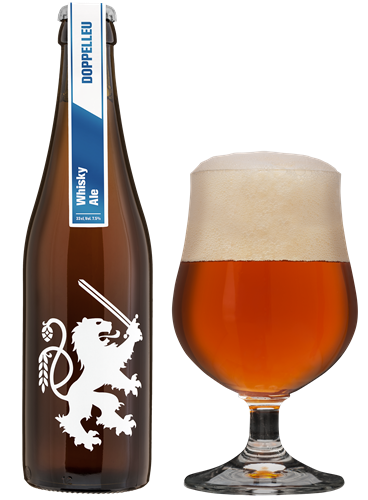 Doppelleu on his side offers premium beer with special Barrel finish like Oak Wood Red Ale or Whisky finish.